During a jam session to celebrate Jean Warland's 80th birthday. 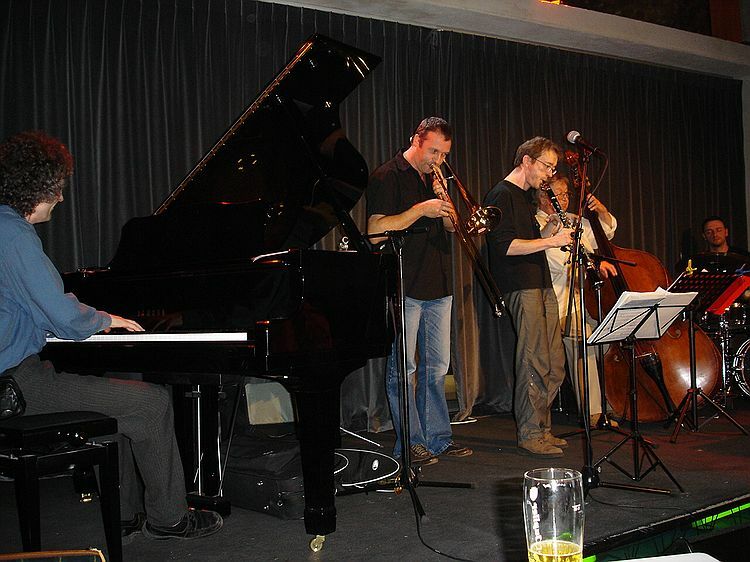 Michel Herr (piano), Phil Abraham (trombone), Fabrice Alleman (clarinet), Jean Warland (double bass) and Laurent Mercier (drums). Jazz Station, Brussels, October 26, 2006.